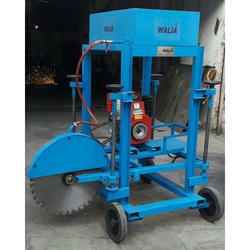 - Manual, semi-automatic & fully automatic machines are designed for highest speed & maneuverability. 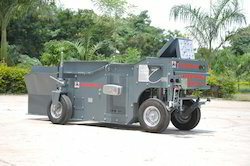 - Used for grooving of concrete pavements , Kerb cutting, PQC repairs - Full depth cutting & Asphalt cutting. •: Fully Imported needles vibrators to ensure compact & easy concrete flow. •: Fully imported hydraulic kit and micron system for longer life. •: Fully Imported Slope, Steering and Grade sensors. CSAP TOOLS Manufacturing is a prominent name among manufacturers and suppliers of a comprehensive range of high performance construction equipment, specially designed keeping the various requirements of construction industry in mind. Plate Bending Machines, Radial Drills, Bar Bending Machines, Shearing Machines, Press Brakes, Plasma / Laser Cutting Machines, Water Jet Cutting Machines, Concrete / Kerb Cutting Machine, Generator Sets, Profile Cutting Machines, Post Pullers, Road Marking Machine.